Well done to Inglefield School who came 2nd in the U11 Semi Final of the ECF National Schools Girls’ Chess Championships. The event took place at St Catherine’s School, Bramley and there were two sections (U11 and U19). In the U11's twenty teams took part and each team consisted of three girls. 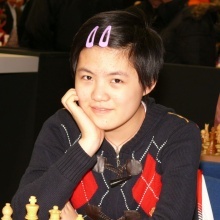 Inglefield put out a strong team with two international players Stephanie du Toit (board one) and Alice Tang (board two). Board three was Ella Hale-Smith and definitly one to watch! The girls have qualified for the final which takes place in July in Uppingham School, Rutland. All three girls are feeling positive and ready for battle in the final!